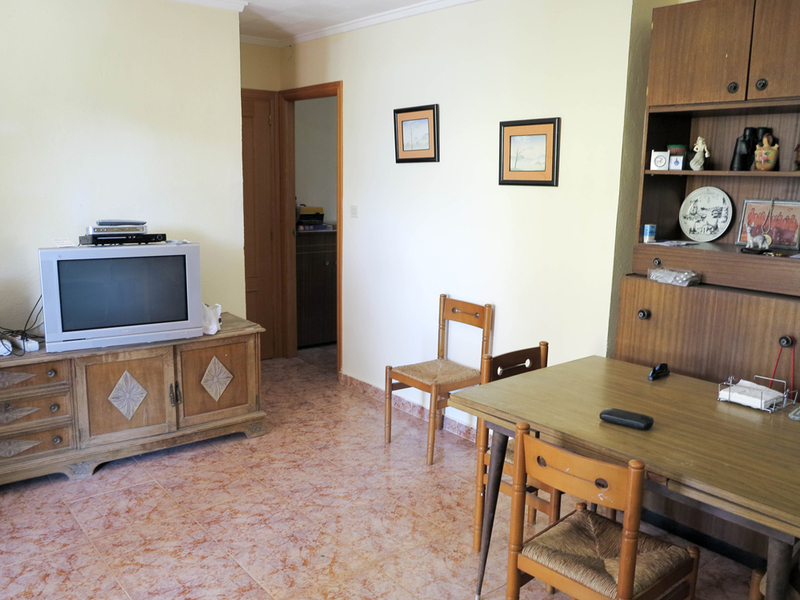 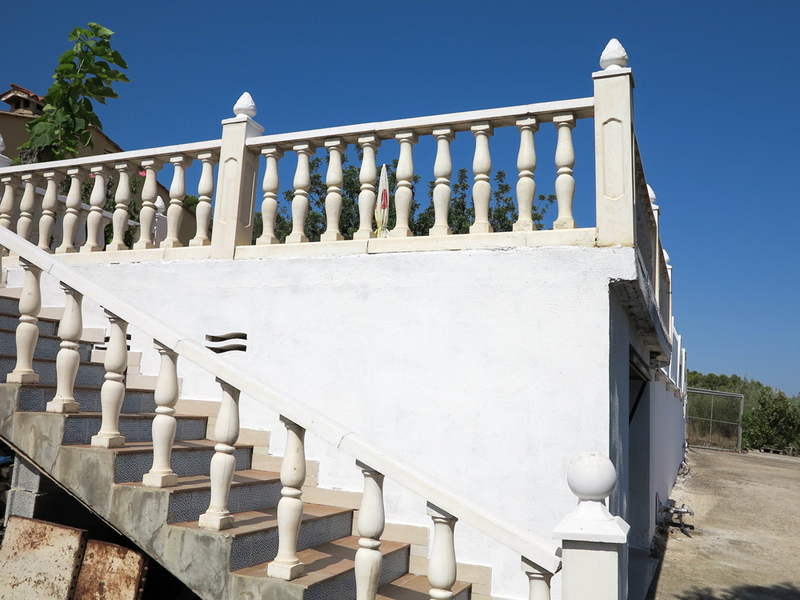 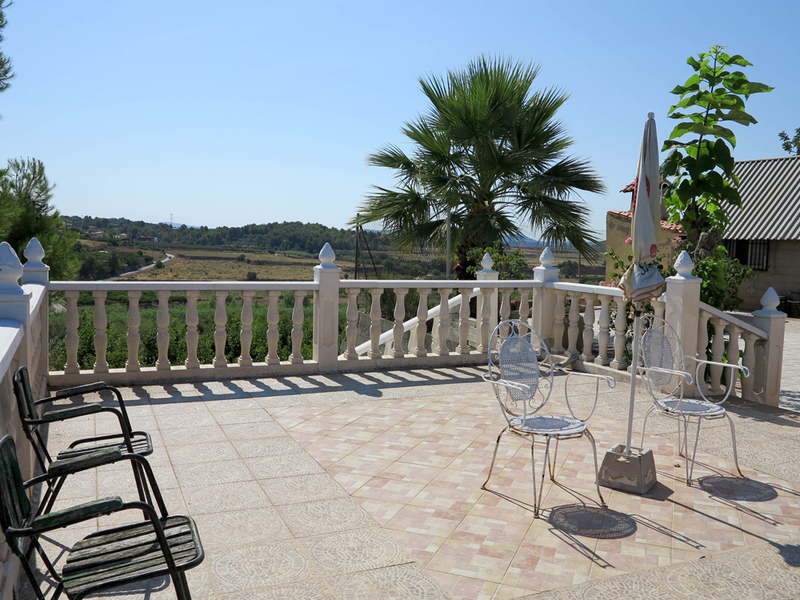 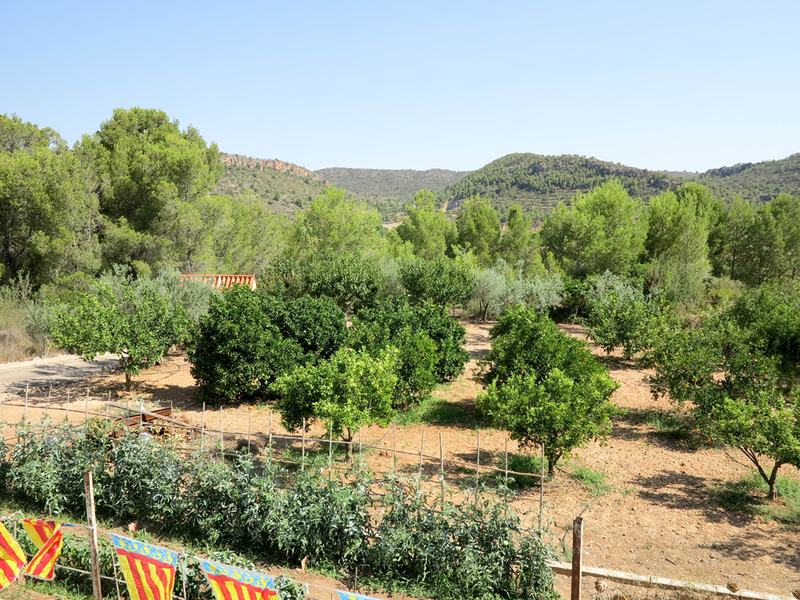 Charming cheap property for sale Valencia with spectacular panoramic views. 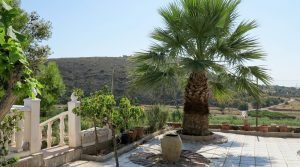 The villa sits on the hillside of the Palmeral area of Montroy looking down at the river and with beautiful countryside views in all directions and you have very good access from the tarmac road. 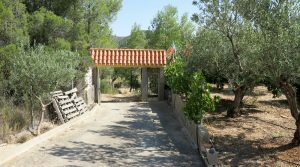 As you pass through the double gates at the entrance, you have a private driveway passing through your fully fenced grounds taking you up to the flat area at the top where the property is located. 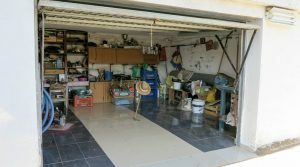 There is a large single garage, which has a tiled floor and with both water and electricity connected. 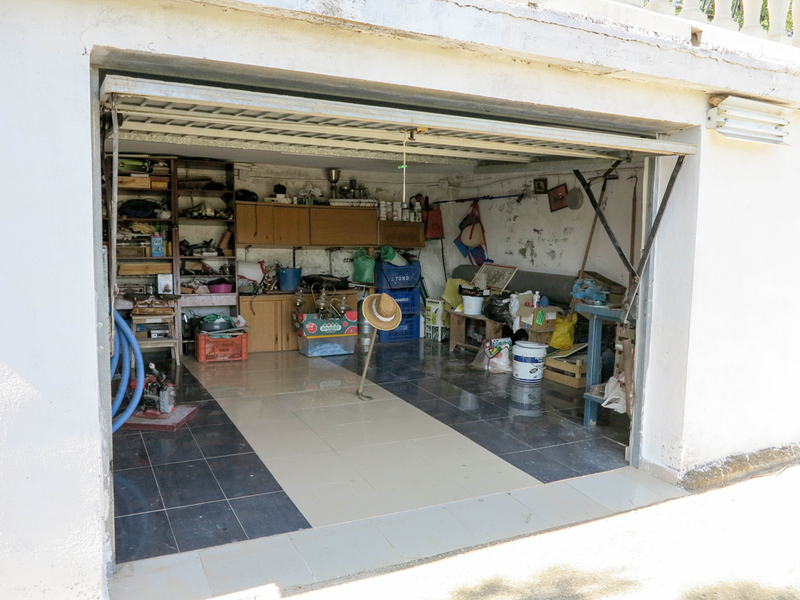 This garage is in the underbuild area of the swimming pool terrace. 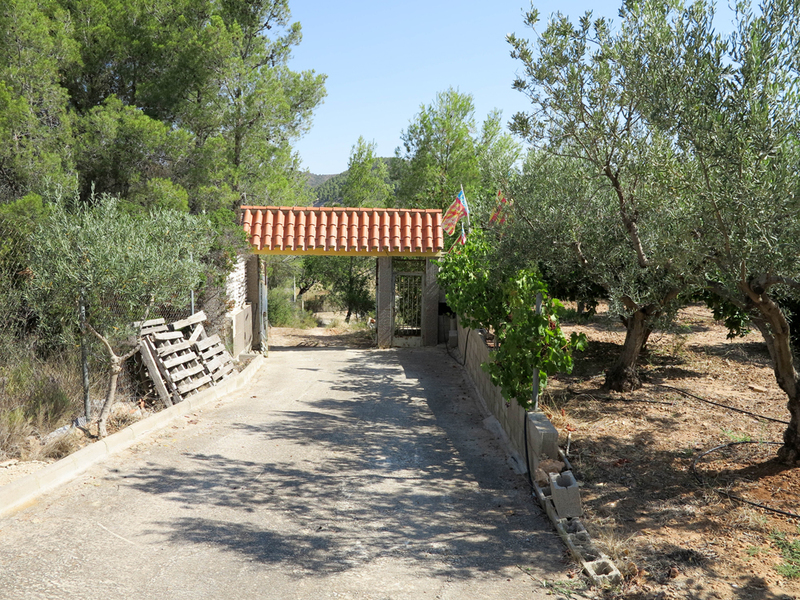 Then up on the main level, you have the villa and its outbuildings. 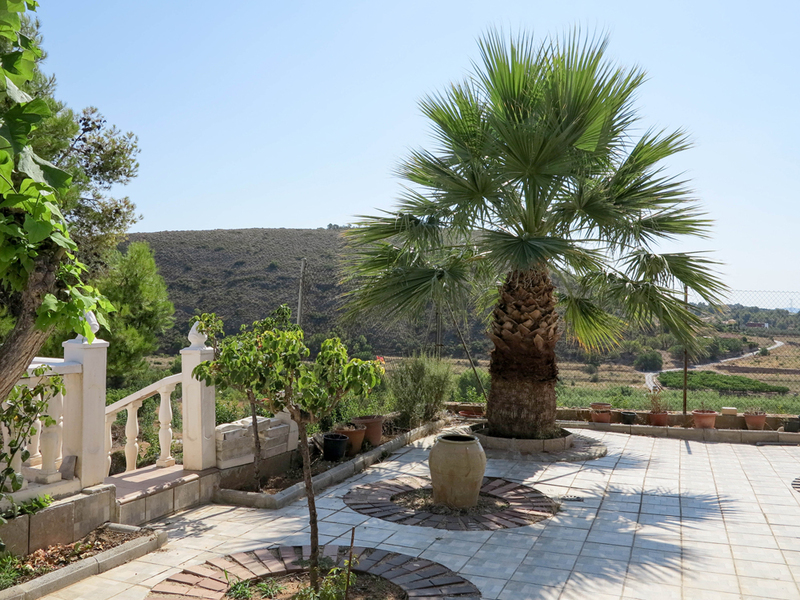 There is a central terrace area between the buildings and you have a spacious covered terrace at the front of the villa still with great views. 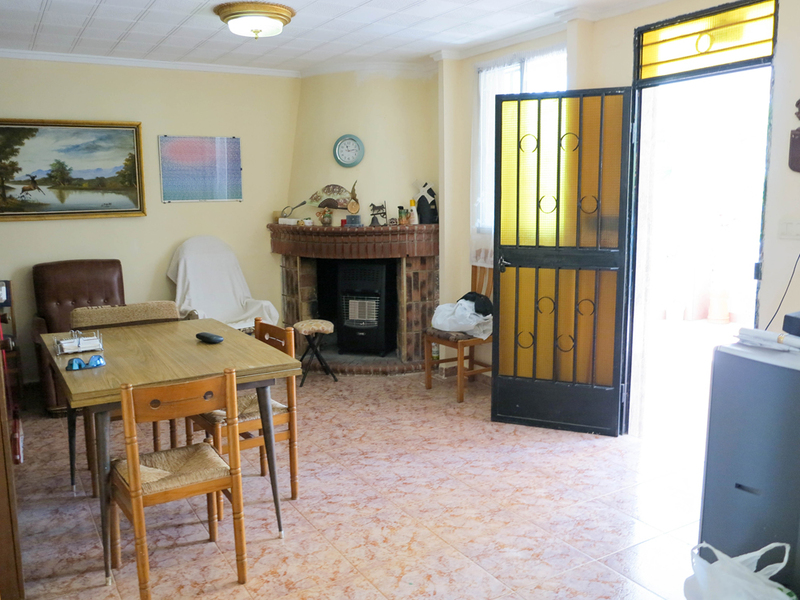 Inside the villa, there is a lounge /dining room complete with a chimney fireplace. 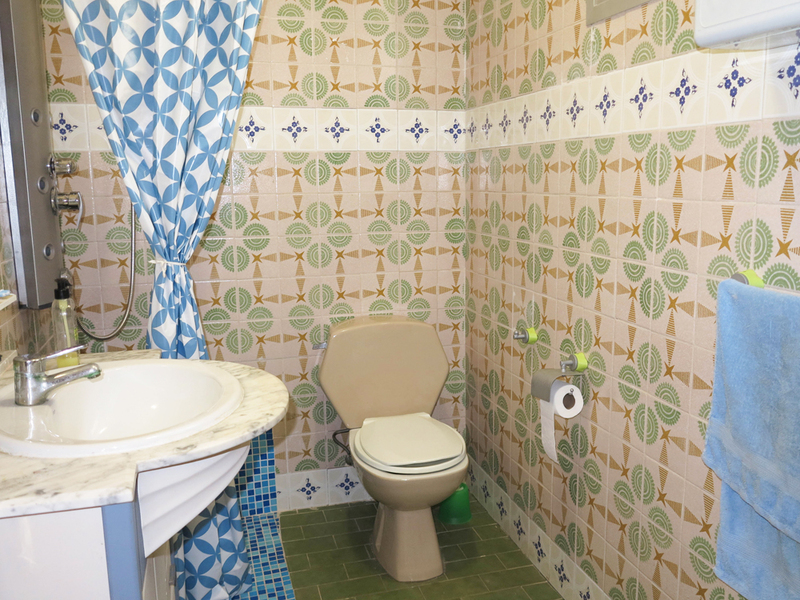 You have a family bathroom complete with a walk-in shower and then there are three bedrooms. 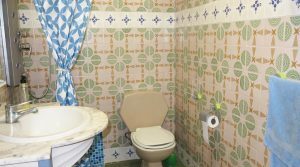 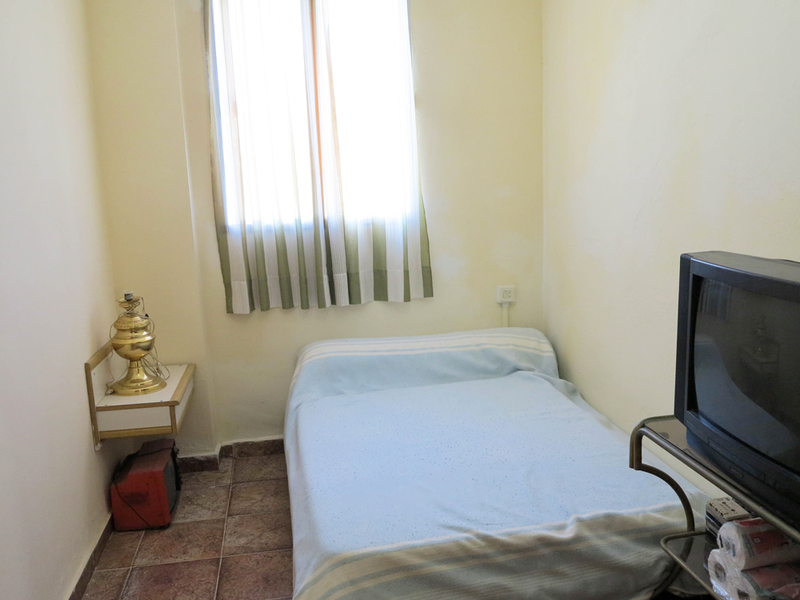 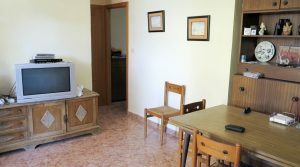 The current owner has converted the original kitchen room inside the villa into a smaller bedroom. 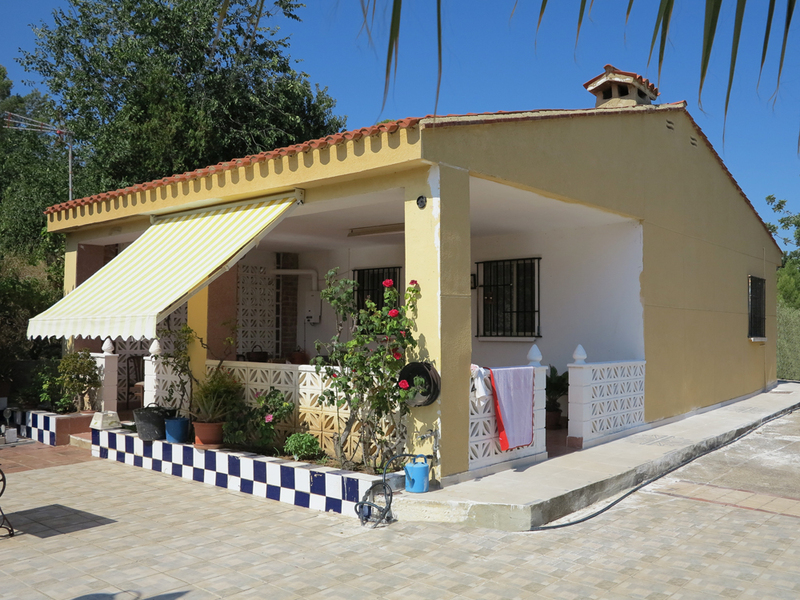 This has made the property a three bedroom villa instead of a two bedroom property. 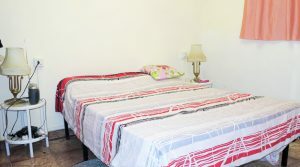 The reason the seller has done this is to create a larger sleeping area for the family. 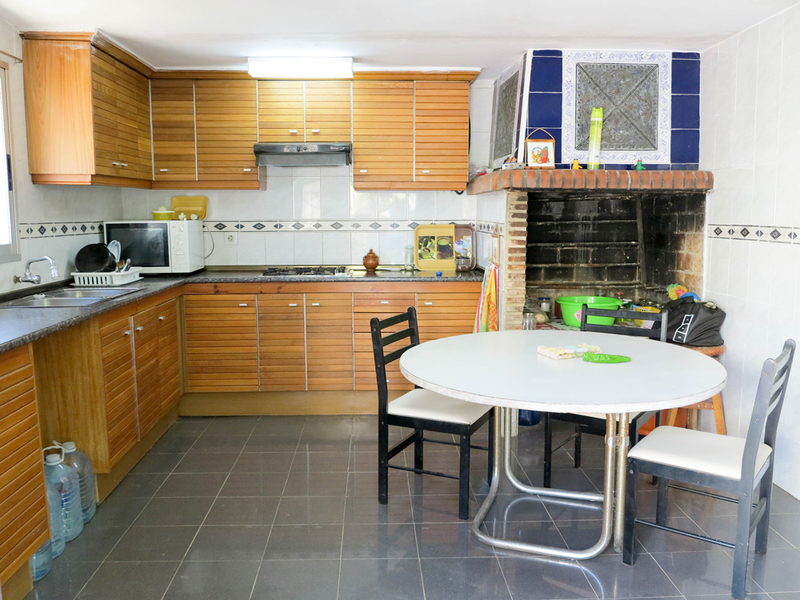 The kitchen and dining space are completely separate, housed in a large detached building where there is a good quality fully fitted kitchen complete with indoor barbecue area. 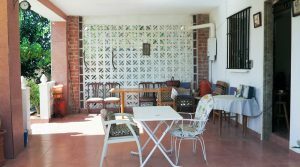 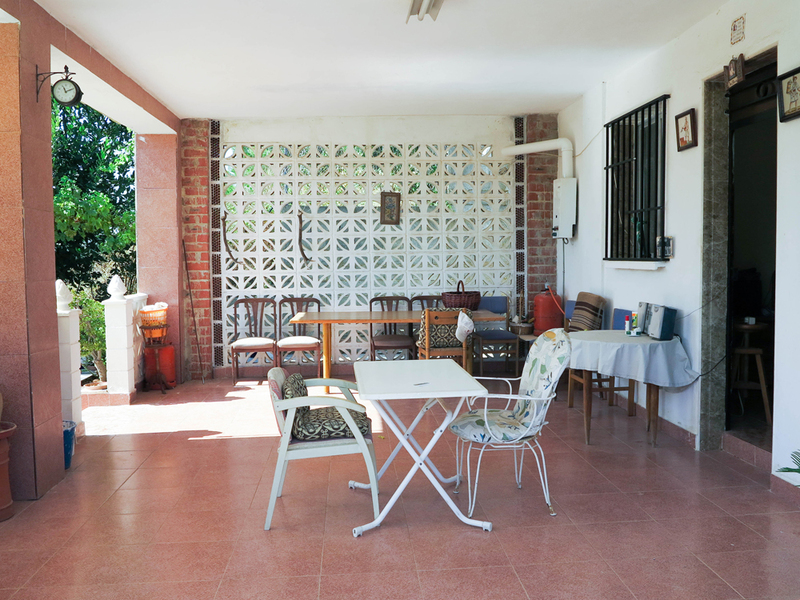 This outside kitchen building is situated immediately across from the front covered terrace area. 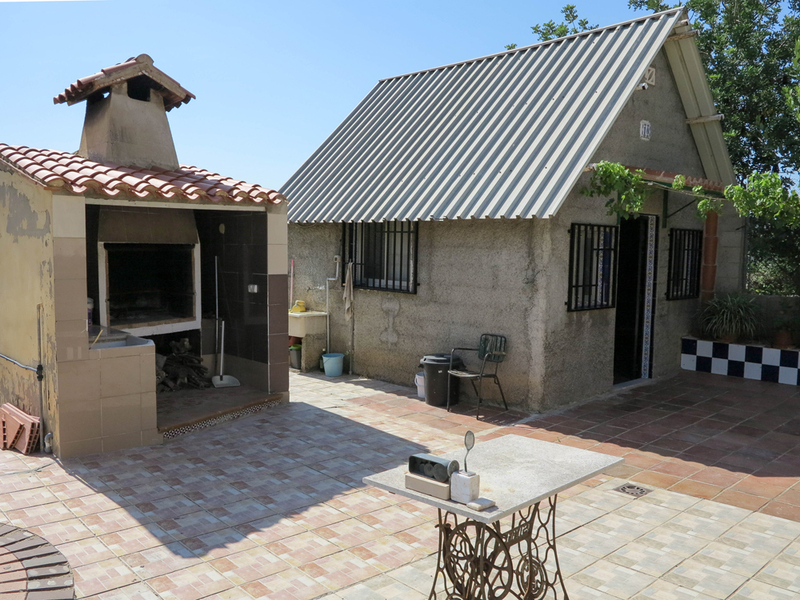 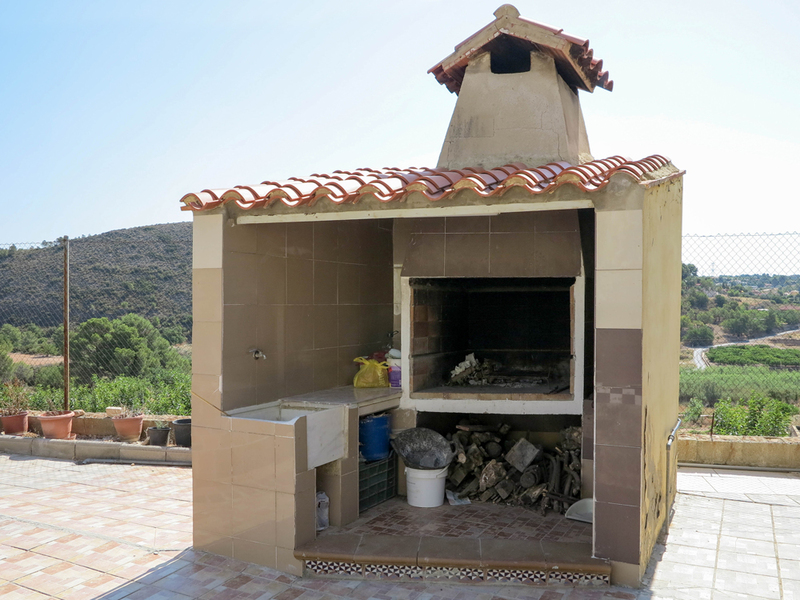 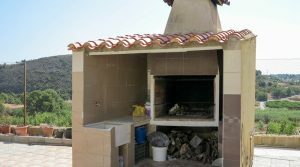 Next to the outside kitchen you also have an additional brick built barbecue for cooking on outside when desired. 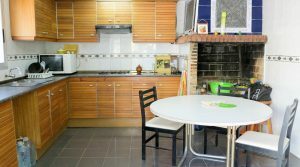 It is an unusual concept having this large kitchen dining room separate from the main villa, but it seems to work well. 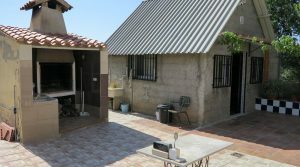 This is because the two buildings are so close to each other and with the covered terrace between them makes the ideal additional area for entertaining and dining also. 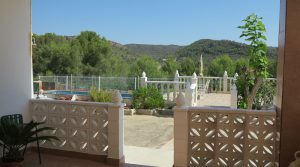 Across from the front terrace area of the villa you have the 8m x 4m swimming pool and poolside terrace all benefiting from those beautiful surrounding views. 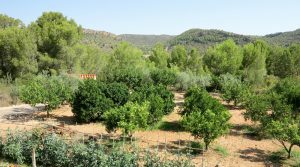 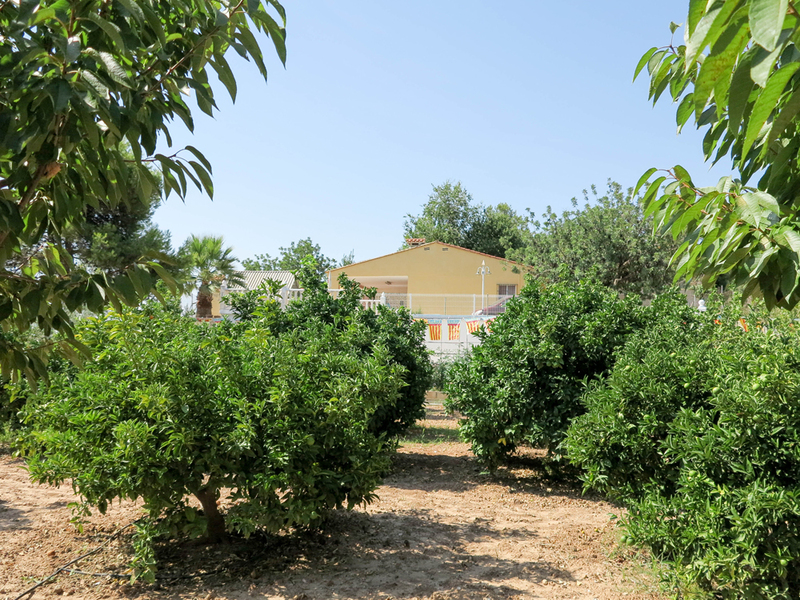 Down in the lower gardens, you have a good selection of fruit trees including lemon, orange, mandarin, plumb, pomegranate and of course palm trees. 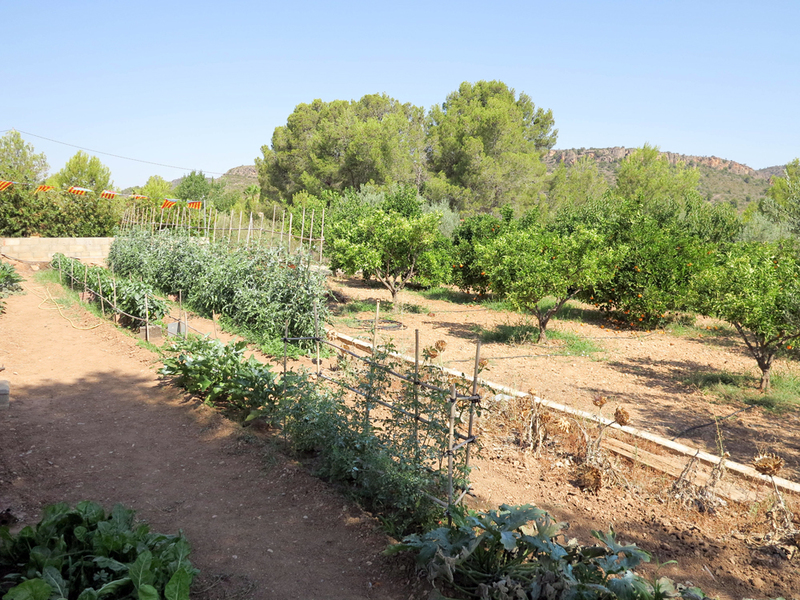 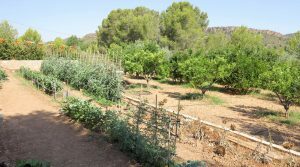 There are also grape vines and a separate area of vegetables, ensuring your fruit bowl and vegetable store are always full throughout the seasons which is a very nice feature. 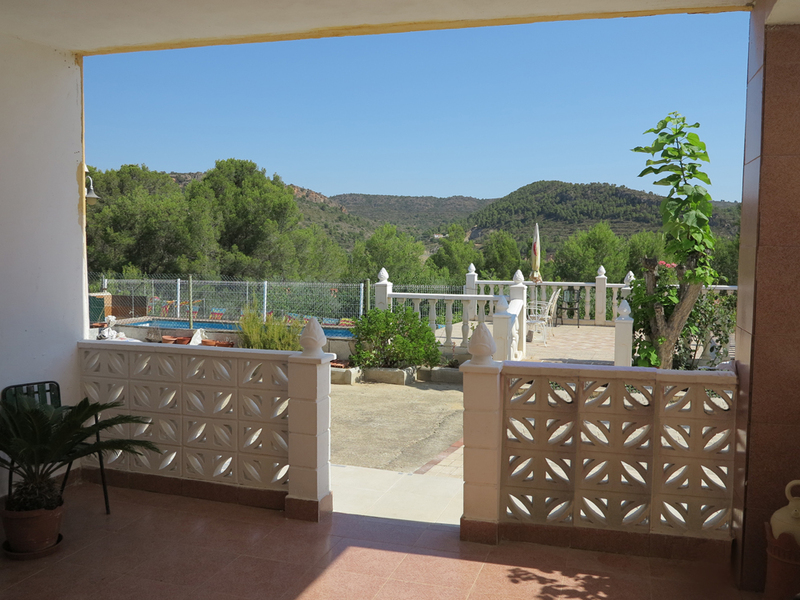 This charming villa is being sold partly furnished and its location and views are some of the best in the area. 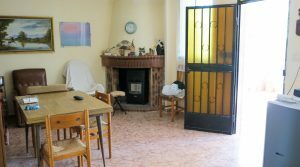 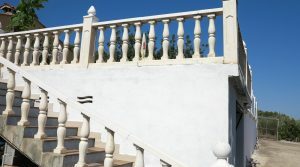 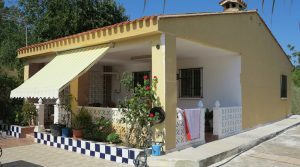 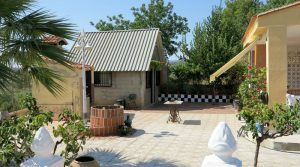 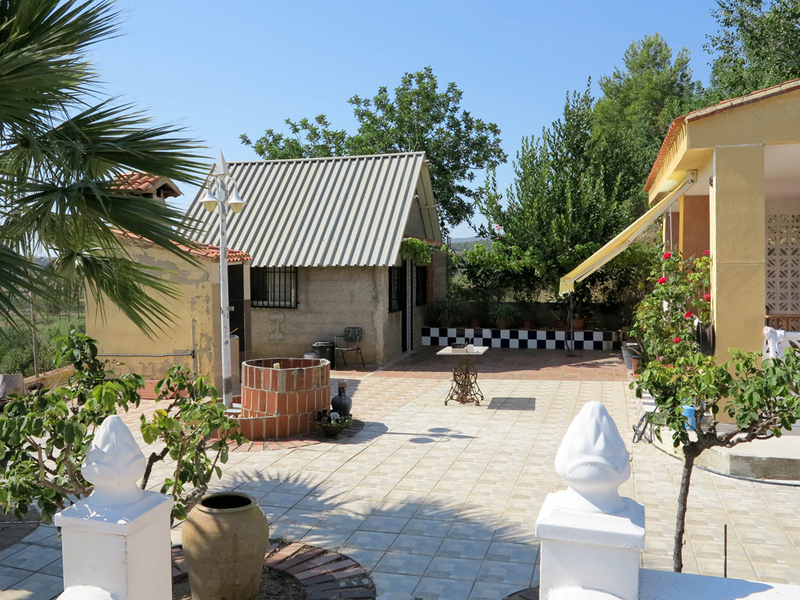 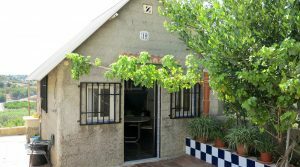 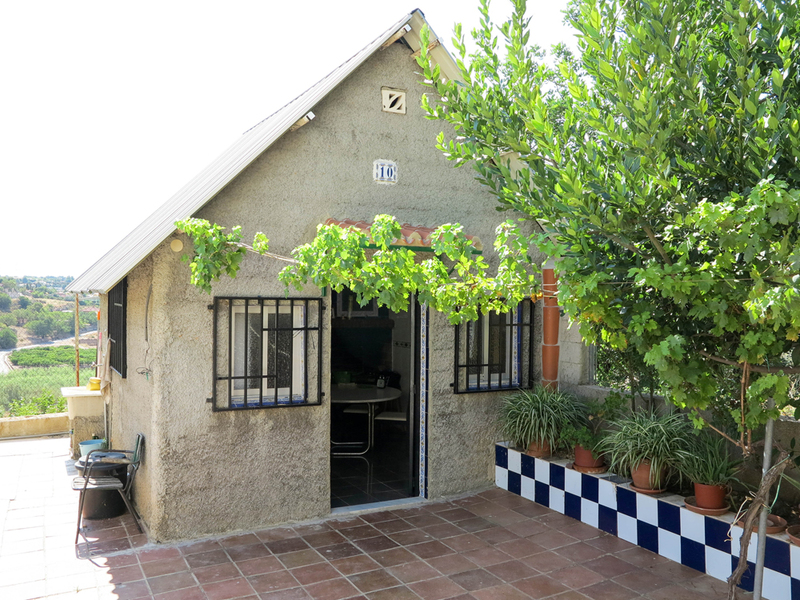 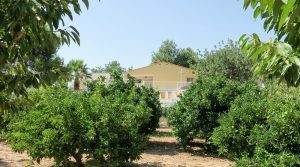 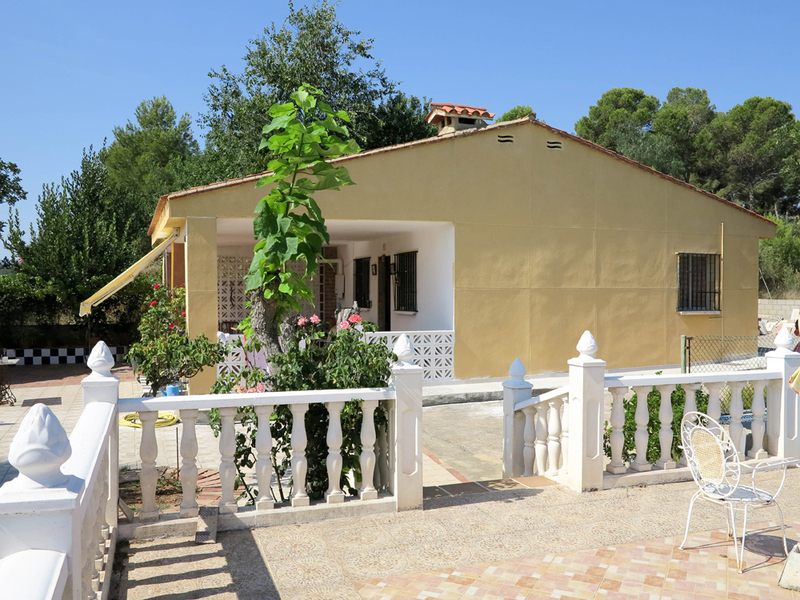 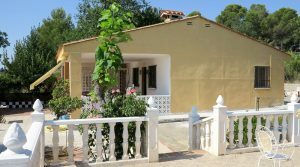 The villa was reduced by the seller and this is an attractive offer now at 110.000 Euros.